PAY ATTENTION! Sunday event at The Tote Hotel tomorrow! 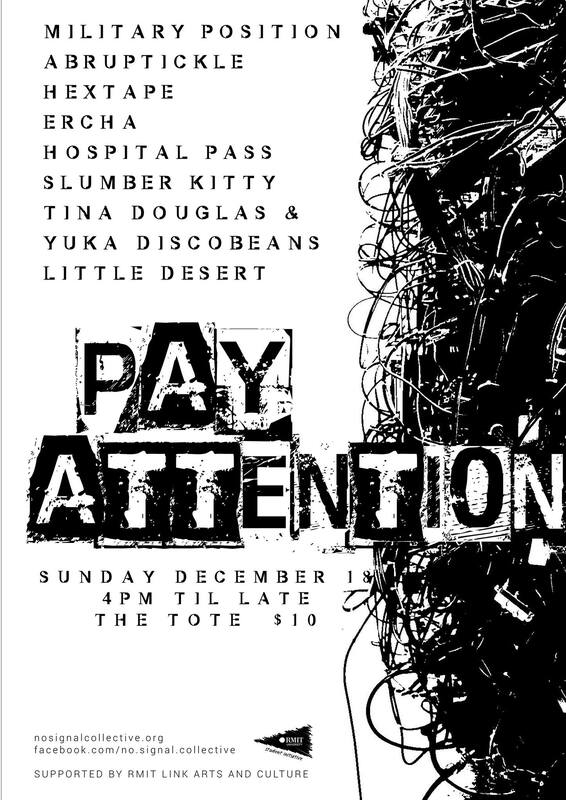 I will be performing with both Little Desert & Hospital Pass (with Lisa MacKinney). Kicks off at 4pm / $10.